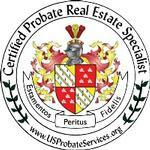 "Expert on Probate, Estate Real Estate Sales, Divorce Decree Real Estate Sales. Investor Minded. Rehabbing Consulting for Income producing properties. Land and Acreages. Inner City turn around Properties." I represent Fannie Mae and HUD Buyers looking to bid on the first look period( First Time Buyers/Serious Inquires Only). Great Partnerships make a difference. Why settle for less when choosing a Realtor? I have over 21 years of experience in Houston's real estate market. I specialize on probate real estate transactions, estate sales, real estate sales by divorce decree, real estate assets liquidation, land and acreage, investment properties, income producing properties turn around to maximize returns, rehab designs to maximize income on rental properties, inner city real estate investments, real estate liquidations for estate administrators. Did you inherit a real estate property and dont know how to sell it? call me! - Multiple heirs and title issues? call me - I handle complex transactions, and will walk the process with you and your family. I have down to earth attitude, and can perfectly coordinate any Real Estate transaction from the beginning to the end with a great attitude. I bring order to the most complex transactions, and enjoy working in a team with my buyers and sellers. I definitely suggest what's needed in your property to make the sale. My Goal is to take all of my listings to the closing table! There is a reason why I don't post ratings on my website. I respect my clients privacy, specially my foreign and local investors privacy. If you need me to provide references, I will happy to do so. Bank Owned Real estate Specialist. Fannie Mae Homes Buyer Representation. FOR BUSY ASSET MANAGERS, I offer solutions with unique marketing options that reduce marketing time, improve the inventory turn around and profitability. Call me Direct at 281-723-0625. List of references available upon request. Hello! Houston is a big city and if you are looking to move into Katy Area then the flavor is not the same as moving into Midtown and Downtown. See Houston is subdivided with over 300 plus subdivisions and each area of the city has its own flavor. Our public transportation is terrible and commutes tend to be interesting during peak hours, so that is a factor that you must consider when finding a location. Now if you like to be close to restaurants and entertaining, then you should consider the new upcoming area East End, Downtown or Midtown. If you are into family activities and outings, then Cinco Ranch, Sugar Land, Katy, some areas of the West Side, and if you can afford the 2M plus, then you can hit West University Place, Memorial area for some of the best rated schools in our area. If you love Asian Food then the southwest side of the city is for you. See I have a theory, buying a property involves matching life style with perfect location in a great community. I ask a lot of questions before I hit the road with my clients. I want to know as much as my clients life style to place them in the right location. Anyone can sell a building, only few of us can deliver good service which involves listening to the client needs. So Welcome to Texas! and Houston....rated one of the best cities for eating out!!! Elena Quiroz with Champions Real Estate Group is a real estate professional in TX. View Elena Quiroz bio, Listings by Elena Quiroz, Neighborhoods where Elena Quiroz is active and more. You can contact Elena Quiroz by phone, email or visit the website.